North American P-51C Mustang "Princess Elizabeth" (civil registry N487FS), returning to the island airport. Note that the C-mod has a cage canopy instead of the more familiar bubble canopy (as on P-51Ds). 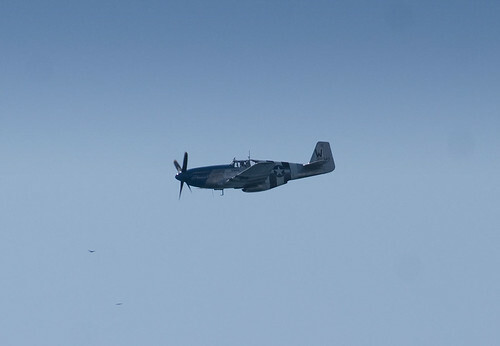 One of three P-51 aircraft appearing at CIAS 2009 from The Horsemen Aerobatic Team. See a video of The Horsemen going through their routine at Airshow Buzz.